Drive is a feature available only to Business Level 123-mail packages. It is cloud storage that you can use to store and share important documents and files. How do I add an item to my Drive? 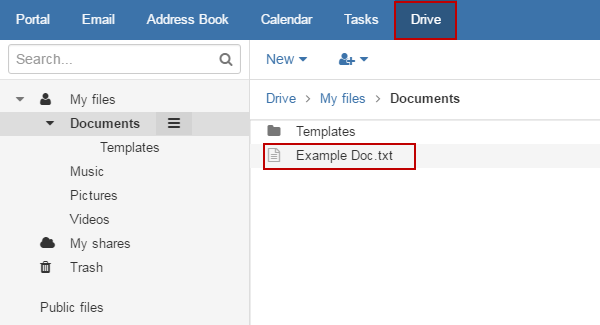 You can add items to your drive by uploading a file or document, or by creating a note in webmail. Login to the 123 Reg webmail and click on the Drive button in the menu bar. You can upload a file, including documents, images and music files by clicking Add Local file. 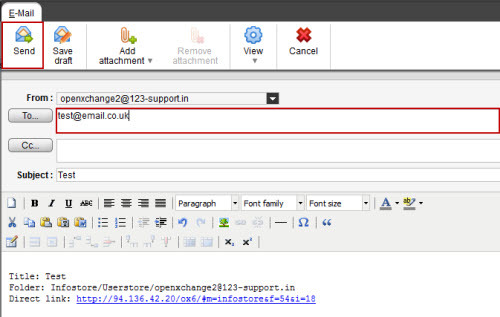 Or use the Add Note button to create a note in webmail. If you add a Local File, your computer’s file manager will show, allowing you to select a file from your documents. If you choose the Note option, you can enter your text into the Editor window that will open. When complete, click Save, and then Close. How do I edit an Drive item? Click on the Drive option from the Menu at the top of the page. Then find and click on the Document you would like to edit. Once you have selected your document, click on the Edit button. Make the changes to your document and then click the Save button, then Close to complete the process. How do I delete an Drive item? Select the Drive button from the menu bar at the top of the page. Click on the item you wish to delete, and then click on the Dustbin icon. You will be asked to confirm the deletion. Click on the delete button to complete the action – make sure you definitely want to delete this item, as this is an irreversible process. How do I lock and Unlock a Drive item? This article will explain how to lock an Drive item in 123-mail webmail. 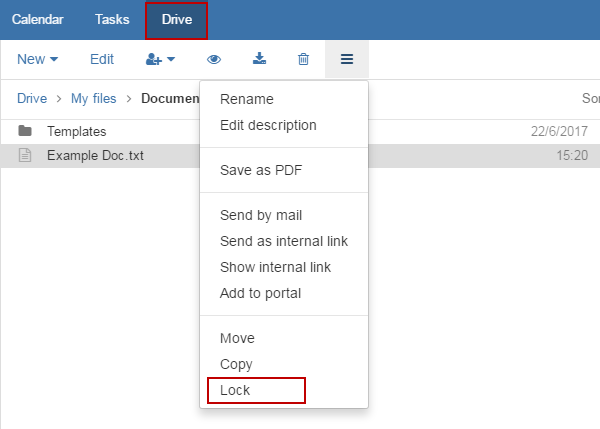 Locking a Drive item is useful when you share your storage with other people, as it allows you to stop people making changes to documents you are working on, or protect sensitive data. 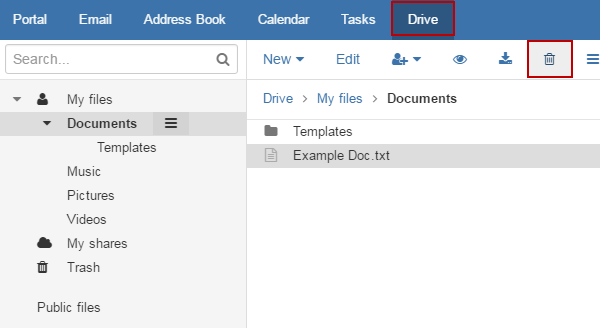 Open the Drive panel by clicking on Drive from the menu at the top of the page. Then find the document you wish to lock, and click on it. Use the drive menu to click on the Lock option. To unlock, simply follow the same process – the lock option will have changed to unlock. How do I move an Drive item? This section will explain how to move a Drive item within 123-mail. This allows you to move a Drive item from one folder to another, enabling you to keep a clean and tidy file structure. Ensuring that your folder system is well organised is a great way to ensure that you keep productivity up as you can always find the item you’re looking for, when you need it. Moving an item is as simple as dragging and dropping it from one folder to another. How do I share a Drive item? 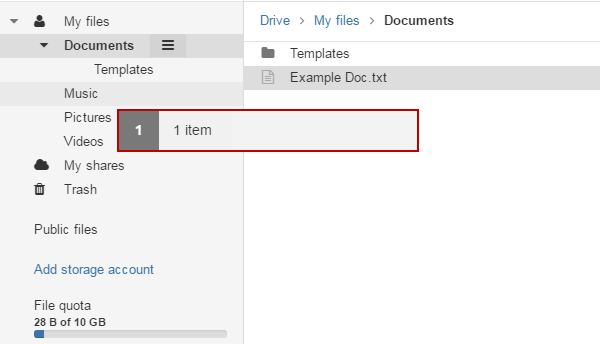 This section will explain how to send an Drive item as a link within 123-mail. This will send an email to your desired recipients including a link which will allow the recipients to view and download the attached item directly from the email. Click on the document you want to share. and then click on the Shave button. You have the choice to invite people, or to share as a link. Sharing as a link just gives you a URL for your file that you can paste into an email or similar. 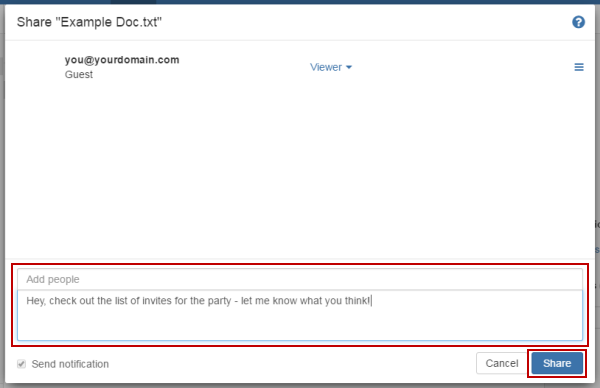 If you share via email, you can click on invite people. This opens a seperate panel that lets you add email addresses and a personal message, before sharing with other users. Select the Drive item you wish to send and click on Send as Link. You can use the Shift and Control buttons on your keyboard to select multiple items, allowing you to send them in bulk, rather than individual emails. Now create an email as you would usually. Add your desired recipient’s email address into the To field, and if required, the CC field. You can also fill out the subject bar and add comments to the email field itself. When ready, click the Send button to send the email. I have purchased Cloud Backup, what’s next? How do I save an email message?